I have been a fan of Ehrenberg since I first read her novel, Ethan, Suspended. 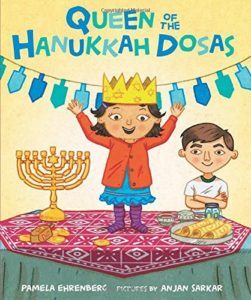 I am delighted to chat with Pamela about her delightful new picture book, The Queen of the Hanukkah Dosas. Tell me a bit about the inspiration for Queen of the Hanukkah Dosas? Was it inspired by real life events? 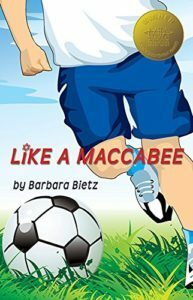 In one sense, the book was inspired by a real-life experiment in making dosas with my kids, and reflecting that it reminded us of frying latkes for Hanukkah. That made me think about something I’d been noticing for a while: that Tot Shabbat, way down in the basement of our synagogue, is the most visibly diverse part of the congregation. I had been thinking about what this means for Jewish books–which despite efforts from PJ Library and others, mostly still feature characters with a similar “look.” I had also been thinking a lot about the “windows and mirrors” conversations taking place in larger kidlit communities. What does it mean for diverse Jewish kids to see themselves in books—and what does it mean for all readers of Jewish books to see reminders of the exciting and diverse future that awaits our Jewish communities? Anjan Sarkar’s illustrations are terrific. I love the end pages with all the food items! How did it feel to see your story come to life with his art? I know—aren’t those endpapers gorgeous? (The Kirkus reviewer loved those too! 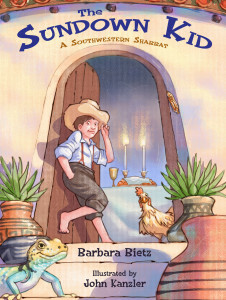 https://www.kirkusreviews.com/book-reviews/pamela-ehrenberg/queen-of-the-hanukkah-dosas/) I love all the ways he brought the story to life, including the background details in the characters’ home and the expressions on their faces that capture so perfectly their reactions to the climbing Sadie. Do you have any unique family traditions – like dosas for Hanukkah? One of my family’s unique traditions at Passover is to remember my grandfather, Maurice Grebow, who had a side business selling insurance from home in the Pimlico neighborhood of Baltimore: we’ve continued the family tradition of substituting the words “Grebow of Pimlico” instead of the Hebrew “Adir Bimlicha,” in honor of the sign on their front lawn. It’s an interesting question, especially in the diverse-books arena, around who tells which stories of which traditions. My prediction—and my hope—is that 30 years from now, the Tots currently running around Tot Shabbat will be more than ready and willing to tell their own families’ stories, so there may be less need for a Jewish-but-not-Indian-author to partner with an Indian-but-not-Jewish-illustrator around a fictional family’s traditions. And now you’ve inspired me to try to work a “Grebow of Pimlico” variation into a future work of fiction someday…stay tuned! You create picture books and novels. How is your writing process different with each genre? 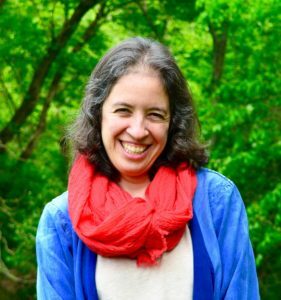 I was honored to have a chance to reflect on that as one of Madelyn Rosenberg’s fellow “Genre Jumpers” on her blog a couple of years ago (http://www.squealermusic.com/madclips/wordpress2/?p=3560), after the publication of my Tu B’shevat board book, Planting Parsley. This entry was posted in Uncategorized and tagged Anaj Sarkar, Farrar, Pamela Ehrenberg, Queen of the Hanukkah Dosas, Straus and Giroux by admin. Bookmark the permalink. 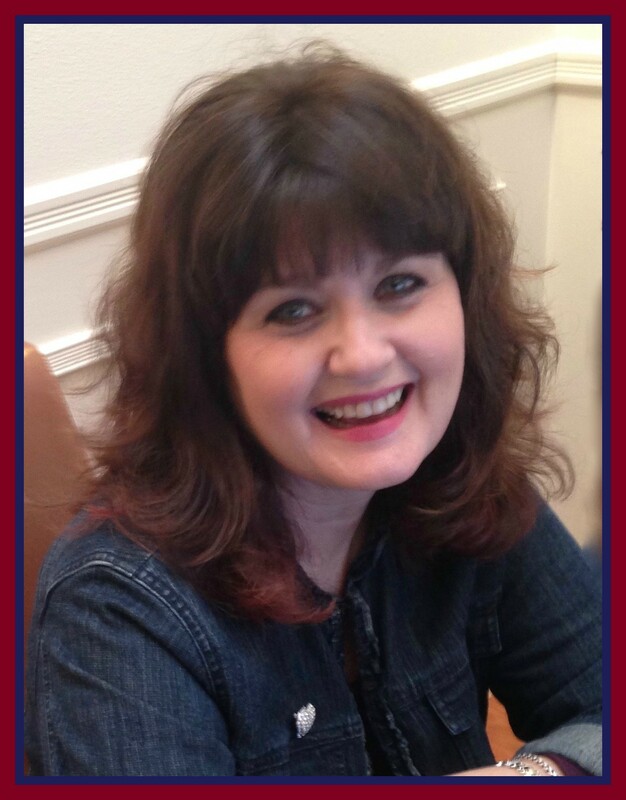 Next → Next post: Welcome Susan Krawitz – Viva Rose!